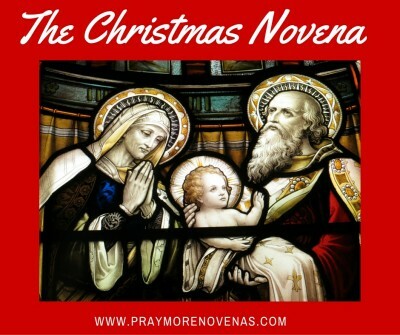 Here’s Day 9 of the Christmas Novena! My Lord & Savior please hear my prayers. Heal my broken heart & give me the grace to do your holy will this Christmas and always. Guide my husband, give him the gift of understanding & a compassionate heart.Heal his memory. Pray for all persons who suffer from mental health. Protect families while traveling this Christmas Season. Prayers for friends and family members especially those who are suffering from illnesses. Praying for my dear friend L. A from her surgery this month. Help the youth to fine a purpose for living & increase their faith in doing God’s will. Pray for our priest. Protect these Holy men while they go about doing God’s work. Prayers for my friends and relatives who have gone from this world. May their souls rest in peace. Praying for my nieces and nephews to return to the Catholic Christian faith. Amen ???? Lord thank you for the love. Please hear all our prayers. Please Holy Mother lift my depression and make me a blessing to my family. Thank you that l have so far received no bad news from the hospital and that l will not do so. Bless all my family and friends. Thank you. Praying everyone has a safe and beautiful Christmas. Thank You Jesus. Christ, may Your Light shine on us all. Amen. Lord jesus I place my financial situation into you blessed hands. I place my son and the success in the persue of his career. Lord I wish him success in his exams.led take control of my son TAKE control of his exams. Please take contol of his useless. Thanks be to God for sending us the Christ Child, the true Son of God the Father and the son of Mary. And may the prayers we have offered in this novena be heartfelt and sincere as we place our needs in the Child Jesus’ outstretched hands. I join my prayers to all the others’ offered by my brothers and sisters in Christ, the community of believers in His divine presence with us and acknowledging that I belong to Him and I depend on Him for everything. Please God that my nephew may be healed and restored to give many more years of joy to his parents, grandparents and other loved ones. And to give many years of loving service here on earth to His Lord & God, to whom he’s already, at age 12, demonstrated great faith, love and devotion. May the spirit of holiness and joy of Christmas be observed in my heart every day. God’s will be done. Amen. Loving God, let’s pray to end abortion and Your will be done! I pray for Daniel, Liam & Sean my Son’s, that our relationship, grows deeper in love, humility and understanding as it is Your will. I pray, for all my sins to be forgiven, Lord, and Forgive those who trespass against us. Hear my prayers Lord, especially Your Mother, Mary, pray for me, and for the desires in my heart. As my heart aches, with distance in our relationship. Loving God, bring us Peace in our days have Mercy on us All. I pray, for Your will to be done. I pray for unborn children, and the Mothers they will be given, to love and cherish the gift You’ve Given them. Receive my PRAYER, for You alone are the Holy One, for You alone are the Lord, for You alone are the Most Highest Jesus Christ, for the Kingdom the Power and the Glory, are Yours now and Forever! Amen. Peace to our world and people as we await the Birth of Your coming, and for Mothers to choose life, so that we All will have eternal life in Heaven! Amen, I pray! Lord hear these prayers and intentions and the desires in my heart! May God blessed us and pass the board exam in January 27 and 29 for Architecture Licensure examination. Thank you. Please help us to each our goals and kindly include us on your prayers.